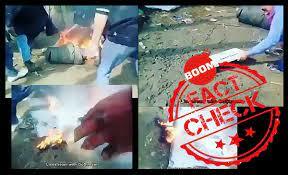 A two-year old video showing a mob break and set fire to an Electronic Voting Machine (EVM) in Srinagar is being shared on Facebook as a recent incident in Uttar Pradesh. The video is accompanied by four blurry images which show the destruction of an EVM. The clip is going viral with a false claim that EVMs in UP were faulty and automatically registering votes in favour of the Bharatiya Janata Party (BJP). 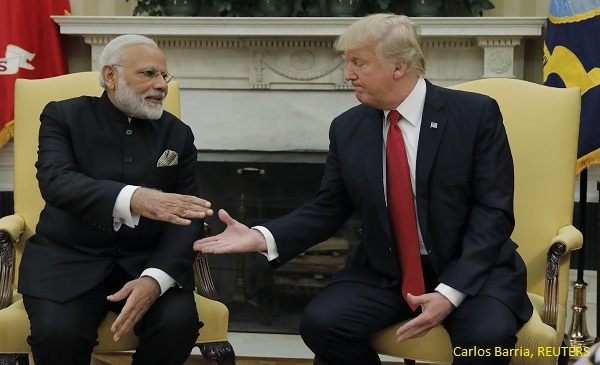 As India went to vote in its first phase of the 2019 general elections on April 11, the post started doing the rounds on social media with a misleading narrative. Here ‘men will take the last decision’ is a reference to the mob taking things into its own hands. You can view the post below and its archive here. BOOM broke the video into key frames through InVid and analysed it. A reverse image search on a few of the frames could not yield results from a credible source as BOOM found two URLs of the same video on YouTube, which were uploaded only on April 11, 2019. An analysis of the speech and Kashmiri Kaftan worn by one of the men suggested the video could be from Jammu and Kashmir. We then ran an advanced search and were directed to an April, 2017 news bulletin of NDTV, which reported how the mob smashed EVMs at a by-election in Jammu and Kashmir. Mobs targeted polling booths in Srinagar after separatists called for a boycott to the polls. Eight civilians were killed, about 100 security personnel were injured and 33 EVMs were damaged in at least 200 incidents of violence. A report on the incident can be read here.